Personalised Engraved Brass lovelock, locked in love padlock. 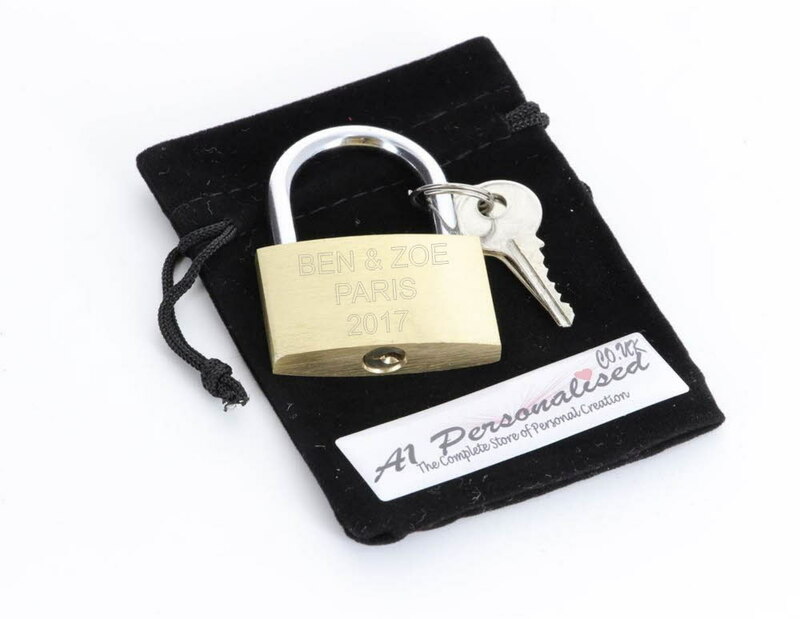 Our padlocks bring the most heartfelt relationships to life perfect for engraving with meaningful text. An ideal gift for special occasions such as weddings, engagements, anniversaries and Valentines Day. Follow the trend of lovers attaching engraved padlocks to landmarks in locations special to them.